Sore all over, did I mention sore all over? 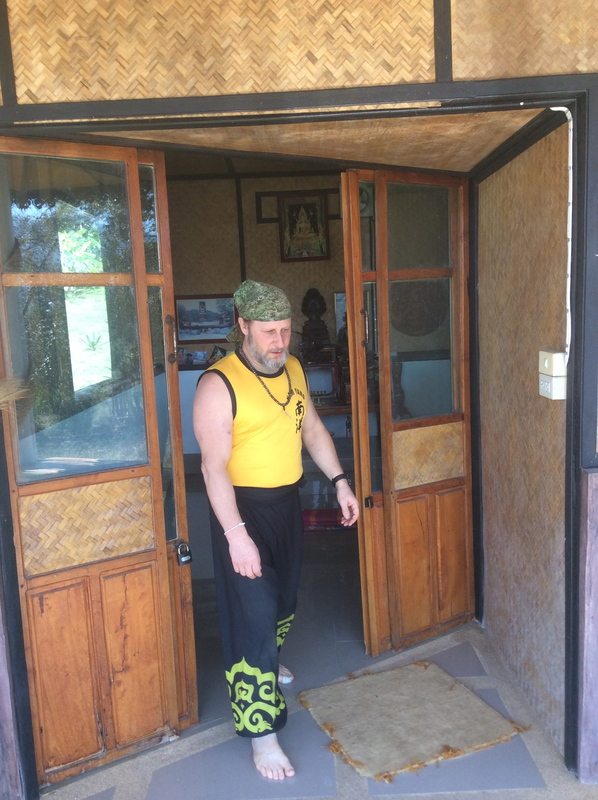 Between the fall I took in Chiang Mai, the Kung Fu exercises, incessant stretching and traditonal Thai massage, I’m sore all over…sore in places I can’t even reach, and others I shall not mention. That was how I felt last night, yet in the few short days I’ve been here at Nam Yang I’m already feeling myself so much more flexible and strong, especially from the waist down. Today was a day of break throughs: meditation stepping, punching, weapons and stretching. On a student’s first morning, each is given a very simple pattern of three steps, first on one side then the other, as a meditative walking sequence which forms a basis for part of the Shuan Yang Sun Frost White Crane. I should put “simple” in quotes! It’s just three steps to one side and back, then three to the other and back. Sounds pretty easy right? It took me three mornings just to be able to do the stepping sequence, but it felt so good when I got it as then one can start sinking into the meditation focusing on all the little details: turning and placement of the foot, gripping the ground and rooting down, angle of the knee, direction of the hips, repeat, repeat, repeat, repeat. Moving through and starting to naturalize these details takes one into the meditation. The meditative walking and Shuan Yang are part of Southern Shaolin Kung Fu’s gentler or soft martial arts, yet the awareness built in these practices really helped me with the punching. I finally started to understand, meaning to get in my body, the pattern of step, grip the ground with your foot, sink down and punch. The result was immediate and obvious: way more focussed power yet far less effort and force required to throw the punch. Recall we are throwing these punches repeatedly into a hanging sand-filled cloth bag. Sifu had said it’s not about swinging the bag but in making a dent. For me there’s also a certain sound which accompanies a proper punch, it’s a kind of pop thud as you hit squarely the sack sending your Chi into its centre. When you grip the ground with your foot you draw Chi from the earth up through your body and send it out your arm into the target: step, grip, sink, punch; step, grip, sink, punch; step, grip, sink, punch, repeat…in getting this I worked exclusively on my left, my weaker side. In weapon’s today I had a breakthrough with the staff. The break through was that I started being able to do it! 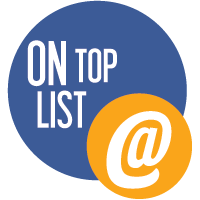 By doing it, I mean that I started being able to move comfortably with the staff in the provided sequence and pick up the new combinations of steps and strikes which build cumulatively in the form. The form is the sequence of all the moves put together. The staff form has a very cool salutation at the beginning where you bow and then salute the staff, raising your Chi and sending it into the stick. The actual sequence then begins with kicking the bottom of the staff up and into your other hand moving into a series of strikes, steps, blocks, lunges and thrusts. The staff is a 6 foot, hard wood stick, rather heavy and quite longer then I’m used to. It is the original weapon for which the Shaolin are famous having defeated armies of both infantry and cavalry with just the staff as their weapon. Staff translates directly into spear and other really cool long bladed weapons like the Horse Cutting Knife, which is like a staff with a long, wide, curved sword on the end. The fluid, swirling sequence with Horse Cutting Knife is quite beautiful. I was also back on the stick for my sword practice having to learn new steps and patterns which would translate back in the next session, if I get them correct, to the real sword. I drilled with series of swirling figure 8 slashes upwards then downwards walking forward and back in very small steps. We doubled the number of moves I have, which can now translate to when I have a real sword back in my hand. Along with the weapons the big highlight today was working with Eddie. Eddie is the young man who is Sifu Iain’s top student and instructor at Nam Yang in the Thailand retreat centre. Eddie has a powerful life story. As with too many young people today, he had wound up on the streets using heavy drugs and really down and out. Through a series of events Eddie wound up at the Shaolin Temple in London where the head Master took him in letting him sleep on the floor. It’s now been ten years of intensive Kung Fu training for Eddie, travelling to different countries training with some of the top Sifus in the world. At Nam Yang Eddie has found his place and will be taking over for Sifu Iain when he leaves, a huge nod of confidence and respect. Eddie is a specialist in Chin Na at which he is quite expert having spent 2-3 years of study with a world renowned Chin Na master in California. Chin Na is the art of joint locking. It literally means Chin – to seize or catch, and Na – to hold or control. The old Shaolin Masters spent many, many years developing the art of Chin Na which contains hundreds of moves all based on achieving the perfect angle, pressure and leverage to seize an opponent and control them with joint locks. The session was amazing and a great deal of fun getting seized and put to the ground ground with exquisite and graceful agony! Eddie’s workout was also quite a bit more aggressive on the strength training than that to which we had become accustomed with Master Iain. I’m the oldest student here and I was proud to be able to keep up in good form with all the exercises and repetitions except one where I had to drop out a couple reps before the end. I think my back and wanting to prevent the old disc injury slowed me on that one but it was probably wise counsel. Oh, the other break through: flexibility. Before I injured my back I had done a good bit of Yoga and one of the postures on which I had worked quite a bit was the forward bend. Years ago I used to be able to stand and bend over putting my hands flat on the ground; however, since blowing out my discs I have done very little forward flexion, of which there is a lot going on here. As I learned in Yoga, you can’t just bend over but must keep your legs straight and, most importantly, your back flat to avoid any undue pressure on the lower spine. Yesterday in Eddie’s class I managed to achieve this, and it was glorious. It took me a long time to get there but I believe my Yogini teacher and dear friend Sheri would have approved the form. Before closing I’d like to share one more breakthrough which I had not counted, yet is likely the most important: a personal development breakthrough somewhat humbling, yet empowering. When I first inquired about training at Nam Yang I was looking to leave closer to the end of January and train for a week to ten days. I was so thrilled when Master Iain replied that he would be here at that time but would have to depart Thailand at the end of the first week of February leaving the school with his capable head student and instructor, Eddie. When the better priced ticket came up I changed my timing to leave earlier and maximize my time with the Sifu. That gave me a few extra days on the other side which I decided to put into Muay Thai, or Thai Boxing for which the country is famous. 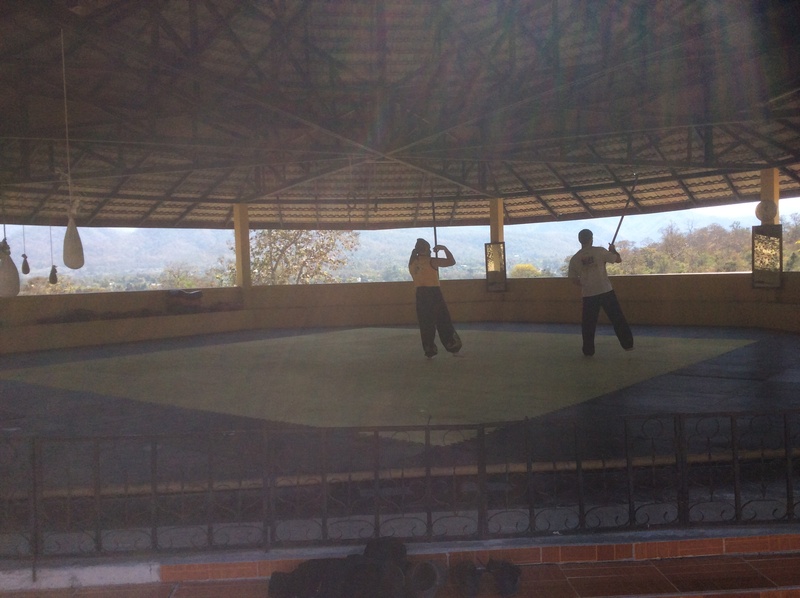 I located what seemed to be the perfect place just north of Chiang May, another residential martial arts academy called Muay Sangha that blends ancient and modern Muay Thai with some other forms. I got really excited about training there for four days before my respite of several days doing nothing in Chiang Mai – a required component under Sarah’s direct orders – before coming back home to Canada. I was really disappointed when Kru Pedro, the Master of Muay Sangha, told me this was not enough time but graciously invited me for tea and exhibition to his studio. I re-worked and re-worked my schedule to create the minimum one-week required for acceptance at Muay Sangha. 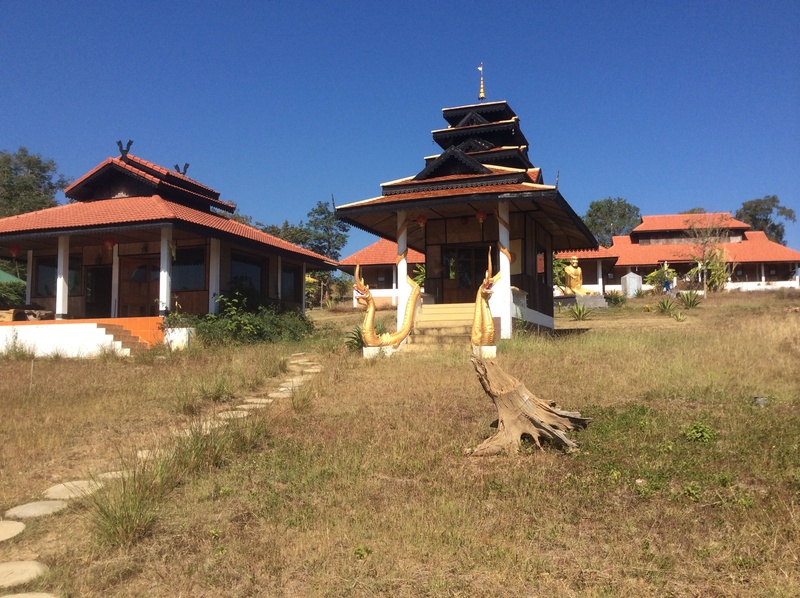 Now, after having spent time here at Nam Yang and getting to work with Eddie, who is also my weapons instructor, I have made the decision to stay here the few extra days to deepen and anchor my learning in this mindful, monastic environment. I will be honoured to train with Eddie when Sifu leaves and take up Kru Pedro’s kind offer for tea following up on his suggestion to come for training the next time I am in Thailand…yes, there will be a next time, hopefully with my family, Sarah and Glen. Peace and Chok Dee (Good Luck in Thai). David Lertzman Ph.D. is the Assistant Professor of Environmental Management and Sustainable Development PI: Energy Indigenous Environment Interface Research Program, Haskayne School of Business, University of Calgary. This blog entry is part of a series of blogs David Lertzman wrote for StudyMartialArts.Org detailing his experiences training at Nam Yang Shaolin Kung Fu Retreat. If you’re interested in visiting this school book your place here and get an exclusive discount Nam Yang Shaolin Kung Fu Retreat.